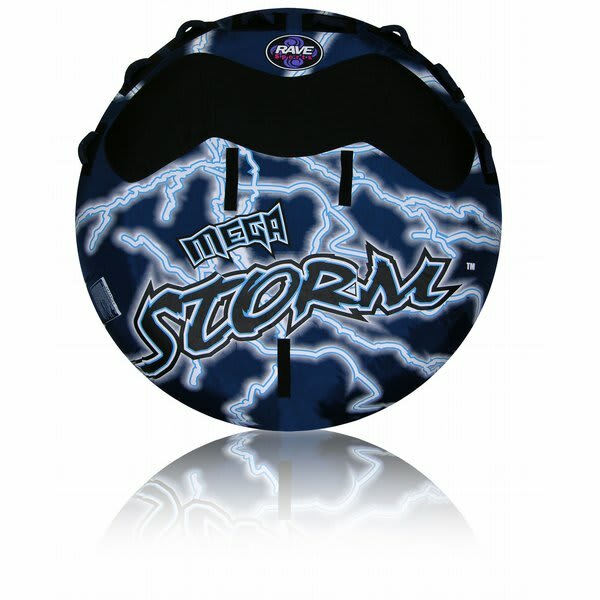 Skim the waves with the thrilling RAVE Sports Mega Storm tube! 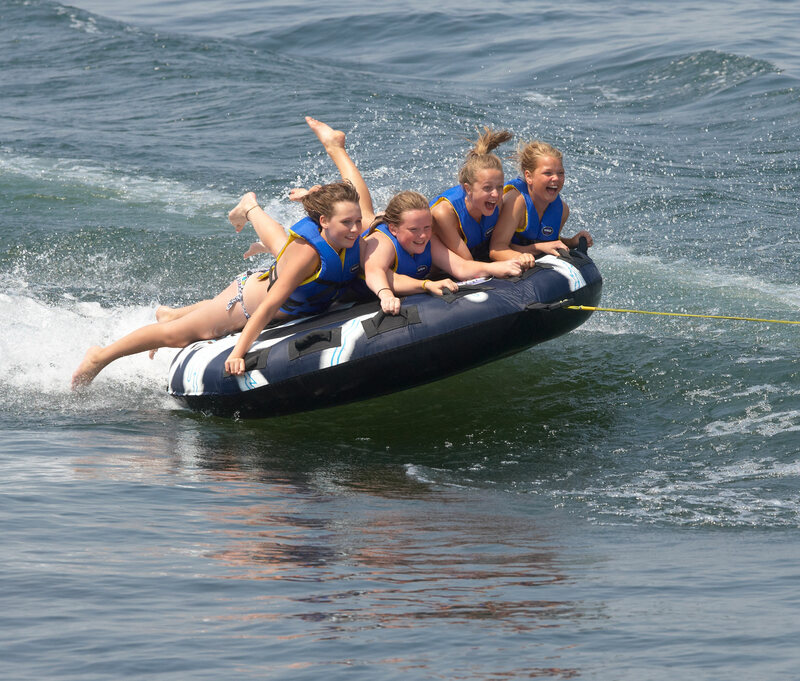 Holding up to 4 riders comfortably with a large EVA anti-chafe guard, and constructed of heavy-duty PVC, this boat towable will withstand even the most aggressive tubers. 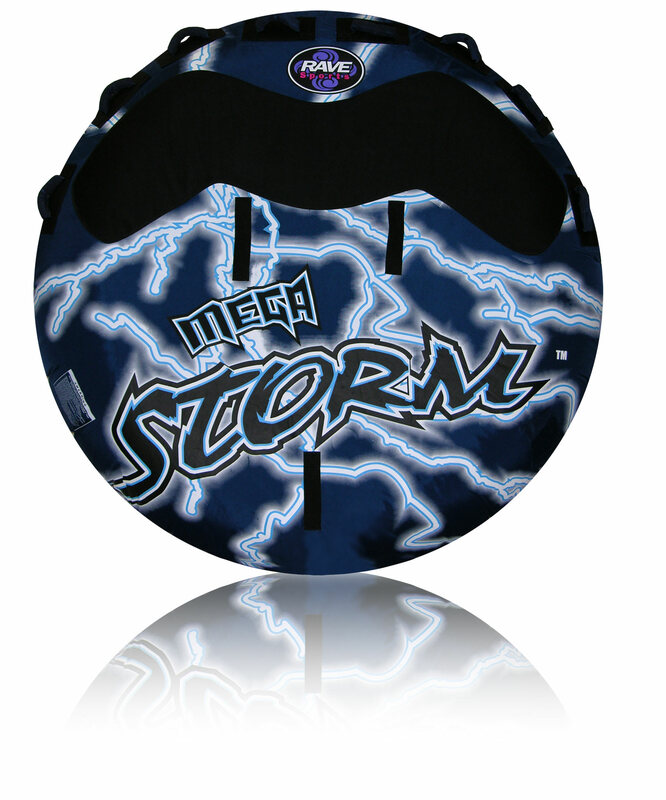 The Mega Storm features three 2" wide rear boarding straps and a low profile deck so riders can easily get on the tube again and again! Can we get this in kelowna?